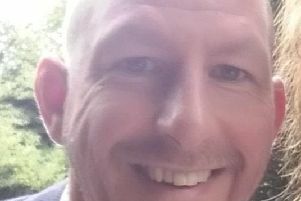 Stuart Elliott died when his bike was in collision with a lorry on Sir Harry Lauder Road last week, just days after the PhD student had been approved for a mortgage with partner Pamela. Emergency services rushed to the incident, however Mr Elliott was pronounced dead at the scene. Road traffic police are now investigating the incident, but donations to a GoFundMe page set up by a kind-hearted neighbour have reached more than half the £20,000 goal in just 48 hours. The 40-year-old had been studying “innovative approaches to violence prevention” at Edinburgh University, family members revealed in a statement. house and were also just beginning to look into setting up life insurance plans”. Over 300 donations have been made to the page since it was set up, with messages of condolence posted by friends, family and fellow cyclists. However, support also came from those who did not know Stuart, with some single donations reaching thousands of pounds. A message said: “I’m so very sorry for the sadness and grief that Stuart’s family must be experiencing. He sounds like a remarkable man. In a statement issued through Police Scotland following the collision, Stuart’s family said they were “devastated” at his loss.